Retexture of the Knight Shield. 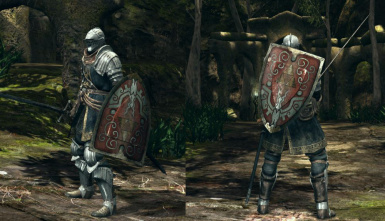 I found a retexture of the knight shield and really liked the worn metal look on it. 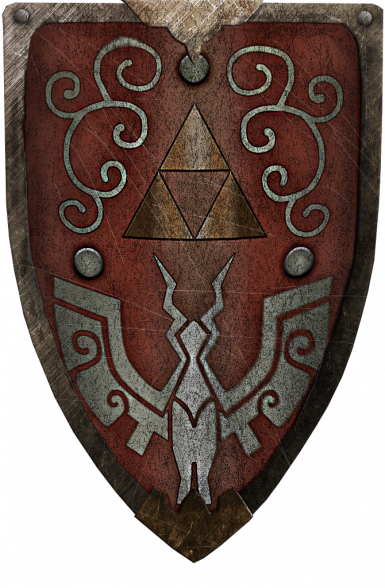 Taking that, I also found an artists depiction of the Hero's Shield, so I slapped that on. I added some rust and scratches to finish it off.